Should you frequent the Google app to check on your day and hope to see relevant content to your life and interests, you’ll love today’s news from Google. 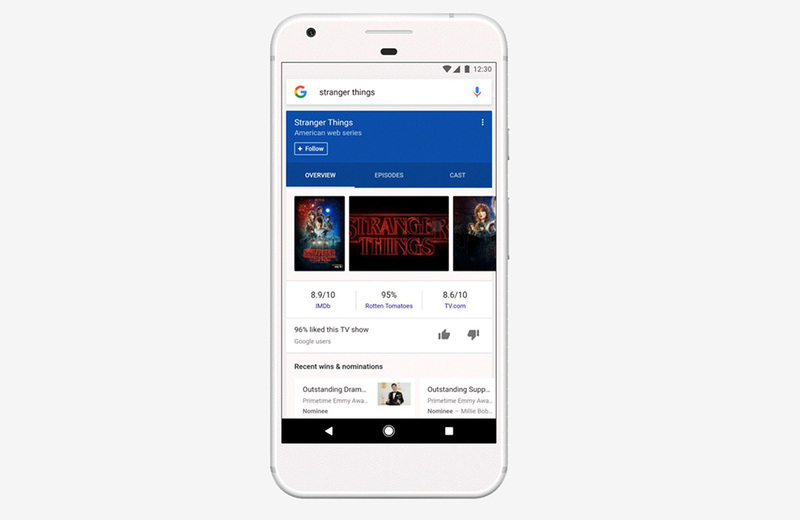 The feed portion of the Google app is getting improvements that aim to show you more info based on your interests, but also by allowing you to easily fine-tune the topics that show up there. Google says that the feed in the Google app is now a “smart feed” that changes as your interests do. You already see certain cards featuring sports highlights, top news, and stories that fit your Google profile, but going forward that feed “will not only be based on your interactions with Google, but also factor in what’s trending in your area and around the world.” Google thinks its algorithms are smart enough that they’ll even attempt to show you info based on your level of interest in topics. For example, if you like photography and a touch of fitness on the side, you should see that reflected in your feed. Additionally, adding specific topics to your feed is now easier than ever. All you have to do is search for them in Google and you’ll potentially find “Follow” boxes to tap that’ll add them. This is a much more fine-tuned experience over the somewhat lengthy in-app topic selection within the Google app. You can see an example of how this works below. Finally, your Google feed will show you a variety of related stories to those that sit front-and-center, along with fact check info (if available), and shortcut to deeper dive into topics (tap the header of cards). These changes should all be rolling out today in the US.